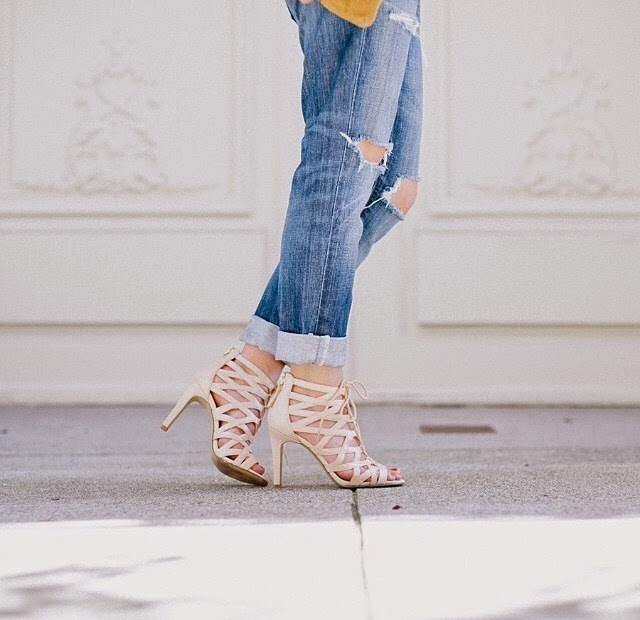 There's just something about a good pair of distressed jeans. Especially for fall! They're so much fun to dress up or down and can totally make an outfit. I have one little problem, though. I don't currently own a pair. I've been on the hunt for a long, long while for that perfect pair of tattered jeans, but after countless failed trips to the dressing room, I'm losing hope. I just know there's a perfect pair out there for me, just waiting for me to find them! Here are few of pairs I've tried, but haven't had any success with. I'm on a mission, and I WILL find some!! Wish me luck! !